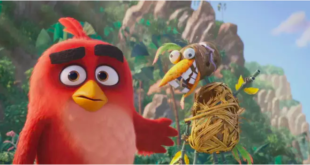 Rovio's Naz Cuevas, EVP global consumer products, and Paul Bufton, VP licensing and Rretail EMEA, explain why 2014 has been a significant year for the firm and what a movie will do for the Angry Birds brand. How has 2014 been for Rovio? 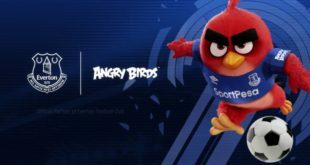 Naz Cuevas: It’s been a hugely significant and successful year for Rovio focused around the launch of Angry Birds Stella, a bold and versatile brand that features feisty characters and celebrates female heroism. 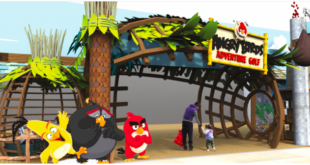 We previewed the first consumer products lines at Licensing EXPO followed by the official global game launch in September and the debut of the Angry Birds Stella animated series on our own distribution channel ToonsTV, which hit three billion views this year. 2014 has also seen the release of Angry Birds Transformers, a mash-up collaboration with Hasbro, that combines the iconic Transformers brand with the quirky world of Angry Birds and the 2016 release of The Angry Birds Movie continues to generate a ton of interest from both fans and the market, and more so since revealing the official cast earlier in the year. What made Transformers a good fit for the Angry Birds brand? Paul Bufton: Angry Birds and Transformers share many synergies that made them ideal for a collaboration. The partnership is another opportunity for us to keep fans of all ages consistently entertained and brings together two iconic properties at key points in both brand lifecycles. Transformers is such a classic brand and Angry Birds has mastered the digital space – we’ve both succeeded where many others may have failed. Matching the brands became a perfect fit for entertaining a wider audience. The result is a really exciting mashup, one that fuses the true spirit of Angry Birds’ humour and quirk with iconic Transformer features from the original 80’s animation. The response from fans has been overwhelming. Together with Hasbro, we will also launch a line of Telepods to translate this exciting animation and gaming experience into imaginative toys so fans can truly immerse themselves into this unique collaboration. We believe the key to our successful partnership is the shared value of creating inventive brand experiences for our consumers. What do you look for in partners for Angry Birds and what partnerships can you tell us about for 2015? NC: Our approach is to build our brands with longevity, develop a licensing strategy that prioritises quality and innovation and to work with leading partners that reflect our vision, dynamism and ambition. Licensing is increasingly important to our business and forms almost half of Rovio’s revenue now, so it’s vital that we carefully seek partners that understand our goals and motivation and who want to join us on our journey. Our licensees must offer expert market knowledge so that we can continue to push boundaries of traditional content delivery and successfully bridge the digital and physical space with innovative and authentic product offerings. Priorities for 2015 will be to extend both the Angry Birds Stella and Angry Birds Transformers consumer products programmes, in addition to revealing exciting opportunities for the highly acclaimed Angry Birds movie. How important to the company is the work you are doing with Worldreader and Room to Read? PB: Rovio’s work with Egmont Publishing and charities Worldreader mobile reading app and Room to Read allow us to bring Angry Birds Stella to life through a series of books, in addition to raising money to improve and support literacy for children across the world. It was a wonderful privilege for Angry Birds Stella to be a part of this and also a great opportunity for families to access Angry Birds content with an educational twist. Published by Egmont Publishing and available through the Worldreader reading app, the Stella Diaries book series inspires children to read while exploring their own super powers such as reading and studying. We are always striving to delight fans of every age with innovative content, so to be able to expand our digital stories on to the written page for a great cause is fantastic. What sectors is the Angry Birds brand performing well in? NC: The property delights fans consistently through a range of channels. Angry Birds Stella is a new entertainment proposition and one that offers exciting licensing opportunities. It has so far really lent itself to the apparel market with fashion partners H&M, Blues Clothing, Aykroyds and TDP already on board – with more to be announced in shortly. Our media and gaming platforms offer the power to drive awareness of our consumer products programme. We’ve built an impressive connection with our audience through the ToonsTV platform which is now fast approaching four billion views worldwide. It’s a place where fans can learn more about the wider Angry Birds world and characters and watch a variety of Angry Birds Toons episodes which are jam-packed with entertaining and funny stories. Angry Birds Transformers also leads the charts within the gaming category. A stunning piece of creative that’s true to the values of both brands, this mash-up really resonates across such a wide audience and gives us the opportunity to get really imaginative and provide fans and wider audiences with even more innovative content. What sectors are you looking to enter in 2015? PB: We’re really excited about the future of our business across all categories. In addition to toys, games and apparel, 2015 will focus on strengthening our presence across the back to school, sporting goods and food and beverage categories. 2015 is also a crucially important build year for The Angry Birds Movie licensing programme. It’s a while off, but what do you hope a movie will do for the Angry Birds brand and how involved is Rovio in the production? NC: The Angry Birds brand has a fantastic track record of entertaining fans with great stories. At heart we are highly passionate storytellers. Every piece of animation, every product, every game is made with fans in mind, so to be able take these exciting characters and adventures onto the big screen and offer our fans spectacular content is a huge honour for us. Rovio is at the heart of producing and financing the movie and we have retained full creative control. We have worked closely with all of our partners to ensure that movie is true to what we all know and love about the brand. The movie will take the Angry Birds into new places and across new generations, it’s an exciting opportunity to continuously push boundaries and delight fans. 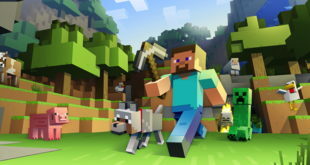 Gaming brands have a chequered history on the big screen. What are you doing to ensure the film is a faithful reflection of the brand? NC: Rovio is an entertainment company and Angry Birds is more than just a game, it’s a globally recognised brand. As such, we have invested in working with the best in the business to ensure that the movie not only reflects the values of the brand but also epitomises the word ‘blockbuster’. It’s slated for release in 2016 and will be distributed worldwide by Sony Pictures Entertainment. The team of industry experts behind the movie is led by producer John Cohen, whose credits include Despicable Me, Ice Age and Robots. The talent that we have on board are a dream come true cast: Jason Sudeikis (Horrible Bosses), Danny McBride (This is the End), Maya Rudolph (Bridesmaids) and Peter Dinklage (Game of Thrones) to name a few. In true Rovio style, it was important for us to keep in contact with our audience and involve our fans through every stage, such as the unveiling of the cast. We like to surprise and keep everyone on their toes, always seeking new ways of delivering content and making announcements. We are confident that the movie will thrill and delight a wide audience and offer a true Angry Birds experience. What else can you tell about your plans for 2015? PB: Where should I start! Well, it should go without saying but as always we will continue to release tons of new content across our portfolio. Angry Birds is celebrating its fifth ‘birdday’ this year and we guarantee that there will be more news and activities lined up than ever before. You can expect to see a lot of the Rovio team in 2015 – both existing and new team members. As we build on the foundation of the past couple of years, the acceleration in 2015 across Angry Birds Classic 2.0, Stella, Angry Birds Transformers, and (of course) the build up to the movie in 2016, will be seen across our partners’ offerings, our own channels via ToonsTV, and placement at retail. It’s going to be an exciting year for planning and growth.